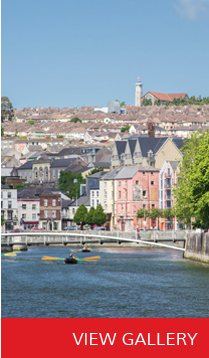 Cork is Ireland’s second city and functions as a major retail destination. The Cornmarket Centre occupies a vibrant city centre position, spanning Cornmarket Street, Paul Street and adjoining Patrick Street. Cork City’s main retail zone incorporates the major schemes of Opera Lane, Cornmarket Centre and Half Moon Lane. The Cornmarket Centre is situated on a key pedestrian linkage between Opera Lane, Paul Street and Patrick Street. Cornmarket Street is a historic trading location in Cork and has recently been completely revamped with feature footpaths and plaza areas creating a pedestrian friendly zone adjacent to Patrick Street. The traditional shopping locations of Castle Street and North Main Street are also adjacent.